Marietta Brew Appiah-Oppong , Attorney General (AG) and Minister for Justice, says despite the positive contribution of the creative industry to the economy, right owners are unable to enjoy the benefits of their works due to the activities of pirates. A nine-member Copyright Monitoring Team (CMT) has therefore been inaugurated as a statutory body established under the Copyright Act, 2005 (Act 690) to deal to with the challenges confronting copyright-based industries and the creative industry. 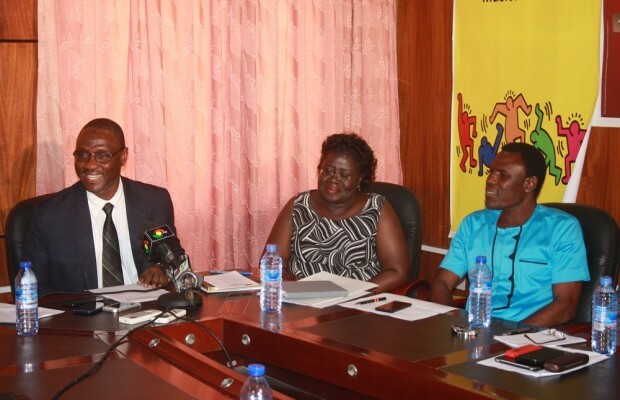 The CMT is made up of Dorothy Habadah, Godfred Lumor from the Copyright Office, Detective Superintendent Nasigri Braimah Seidu, Detective Superintendent Kessie Akrasi from the Ghana Police Service, Stephen Brobbey, Richard Quartey, Socrates Safo, Kwesi Nyarko and Yaw Oxbon from the various copyright owners associations. According to Mrs Appiah-Oppong, the prime objective of copyright system in Ghana, which is to ensure that creators of protected works receive financial benefits or remuneration from their works, is being threatened by piracy. In a speech read on the AG’s behalf by Suleiman Ahmed, Chief Director at the Ministry of Justice in Accra yesterday during the inauguration of the (CMT) , the AG said the impact of copyright protected works on society and on the national economy cannot be overemphasised. “The creative industries are also known to make considerable contribution to the economic wealth of nations. They also grow at a very fast rate and employ a large number of people,” she said. Mrs Appiah-Oppong urged the members of the team to discharge their duties with utmost integrity and guard against entrapments of pirates. “I do acknowledge the sensitive nature of the responsibility of the monitoring team. Persons who exploit copyrighted works for their personal gains may do all they can to perpetuate their illegal activities. They may even resort to inducements to protect their activities,” she added. Yaa Attafua , Ag Copyright Administrator, disclosed that the Copyright Monitoring Team has the core mandate to coordinate all anti-piracy and infringements relating to copyright issues. “With the development of technology, the financial rewards which should go to right holders keep on diminishing. Therefore I’m very happy that this Copyright Monitoring Team has been set up,” she noted. The event brought together various stakeholders in the creative industry including Rex Omar and Kojo Antwi among others.